Can probiotics help treat fibromyalgia? According to science, probiotics can strengthen the immune system, which is compromised in people with fibromyalgia. Probiotics may help relieve stress, anxiety and depression– which are common symptoms in fibromyalgia. In other words, take care of you gut, and it will take care of you! 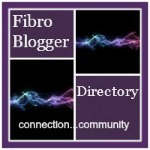 Can probiotics help treat fibromyalgia? Despite all the research being done on friendly gut bacteria, there are actually no studies to date that directly answer that question. But when you dig into the science a little deeper, you can find a wealth of studies that support the use of probiotics to treat fibromyalgia symptoms. In other words, take care of your microbiome (the ecosystem of gut bacteria), and it will take care of you! Ever since I developed fibromyalgia, I dread getting sick. Infections trigger flare-ups at best and relapses at worst. Many people with chronic illnesses report getting sick more frequently than when they were healthy, and believe that their immune systems are compromised. This is supported by the science. In the case of fibromyalgia, researchers were able to develop a test for diagnosing the illness by examining cellular immunity. The study proved that people with fibromyalgia have disregulated immune function at the cellular scale. Participants with fibromyalgia were found to have increased chemical messengers called cytokines, which are involved in activating inflammation in the body (Sturgill, et al. 2014). Strengthening the immune system using different means, including by taking probiotics, seems like a really good idea in the face of this kind of evidence. Up to 70% of the immune system’s activities occur in the digestive tract. There are more than 400 species of bacteria in the gut, which altogether add up to more than 100 trillion bacterial cells. So how do probiotics help keep your immune system in fighting shape? Probiotics protect the lining of your intestines from harmful germs and toxins (Yan et al., 2011). They promote the health and integrity of the cells that line the barrier wall of the gut, keeping germs and toxins from being absorbed into the bloodstream. In the intestines, friendly bacteria compete with harmful bacteria, preventing them from growing out of control. Some probiotics even produce substances to kill harmful bacteria – this is a take no prisoners kind of fight! Probiotics communicate with the immune system to strengthen its response to infections and enhance its repair of intestinal damage. (If the nerd in you wants to know, probiotics interact with intestinal wall cells in complicated ways, such as by releasing signalling proteins that stimulate the immune system). Friendly bacteria can act like guards calling for backup, priming the immune system to prevent and treat diseases, like allergy, eczema and viral infections. As people living with fibromyalgia and know all too well, the challenge of living with chronic pain on a daily basis is very stressful and raises difficult emotions. Depression commonly occurs alongside chronic pain (Holmes, 2012). Research has demonstrated that anxiety disorders are more common in patients with chronic pain conditions like arthritis, fibromyalgia migraine and chronic back pain (Asmundson, 2009). What does this have to do with friendly bacteria? Scientists are beginning to uncover a fascinating gut-brain connection. There is exciting preliminary research on the potential benefits of probiotics for mental health. Researchers call these types of friendly bacteria “psychobiotics.” One study looked at the effect of consuming probiotics on depression versus a placebo. After eight weeks, participants who took the probiotic had significantly lower scores a depression inventory test, as well as lower levels of inflammation (University Health News). If you’re interested in knowing which strains were used so you can pick a similar supplement for yourself –this study used 2 billion CFUs each of Lactobacillus acidophilus, Lactobacillus casei and Bifidobacterium bifidum. How can probiotics act like “chill pills”? Some probiotics are able to produce the same kind of compounds that the nervous system uses as chemical messengers. For example, gut bacteria can produce serotonin, which is a feel-good neurotransmitter released in the brain and nervous system when we are happy. Probiotics can help regulate inflammation in the body. As you may know, excessive inflammation is linked to many chronic diseases, including depressive disorders. Friendly gut bacteria interact with our hormones, and may help to turn off the response of the stress hormones cortisol and adrenaline. It’s important to remember that research has only studied a few strains of probiotics, among the many thousands that make up the human microbiome. It’s clear that each type of bacteria causes different effects in the body. Some of these effects are contradictory – some probiotics turn up the activity level of the immune system, while others turn it down. The sheer complexity of it all makes it difficult to draw any hard and fast conclusions. What is clear, however, is that having a diverse and replenished microbiome improves overall health. The best way to take care of your microbiome is to regularly consume fermented foods rich in probiotics, and to take a probiotic supplement. It’s also vital to consume foods that help to “feed” the probiotics in your gut. After all, friendly bacteria need to eat too. Some foods help to nourish probiotics more than others, and these foods are called prebiotics. Some of the best prebiotics to regularly include in your diet are: dandelion greens, garlic, onions, leeks, asparagus, unripe bananas, barley, oats, apples, flax seeds, wheat bran, seaweed and cocoa. Prebiotics are often better consumed raw and cooked. Asmundson, G. and Katz., J. (2009). Understanding the concurrence of chronic pain and anxiety: state-of-the-art. Depression and Anxiety (26)888-901. Sturgill, J. et al. (2014).Unique Cytokine Signature in the Plasma of Patients with Fibromyalgia. Journal of Immunology Research. Yan, F., and D. B. Polk (2011). Probiotics and Immune Health. Current opinion in Gastroenterology 27 (6): 496-501. WordPress just sent me this post, and I didn’t realize it was older. But I’m looking into one with L. rhamnosus right now! It’s Custom Probiotics D-Lactate Free. Extremely expensive, but I’m blowing all my money on illness anyway. B. Infantis is also supposed to be a good strain. And L. Paracasei is supposed to help with leaky gut. There was a thread on this over at the ME forum Phoenix Rising. Search for histamine and probiotics. (I have histamine issues.) right now I take renew life because I don’t want to get anything delivered in the summer and have a whole bunch of dead bacteria. Thanks for the suggestions! I will look into it. My naturopath sent me to someone who tested for both food sensitivities and sensitivity to different probiotics. I thought that was helpful because I’ve had bad reaction to different brands in the past. Right now I take sisu dophilus extra strength with rhamnosus and others. Oh, that’s interesting! I didn’t know they could test for sensititivities to probiotics. I actually have never seen a naturopath (although I want to), but my Lyme doc is integrative. He works with a naturopath, but the naturopath is in the next state over! It’s complicated–in NY, naturopaths have no license to prescribe. NY is VERY UPTIGHT about all things not conventional and Western. Just found this. Thank you Katarina for mentioning the test. Twice I have had severe reactions to probiotics and hate to even risk taking them again, maybe if tested first. Otherwise, I will just go with the fermented goods. That’s a good tip about varying the brand of probiotic supplements and types of food! I agree we are at the tip of the iceberg in terms of microbiome research findings. Hopefully lots of helpful treatments to follow. Love your carefully researched articles. I have been following your blog for awhile and wanted to let you know I enjoy your content. So much so that I’ve nominated you for a Liebster Award. You can learn more at my nomination post listed below. I hope you chose to participate and I look forward to reading the answers to the questions I am asking my nominees. Thankyou so much for the kind words and for nominating my blog! You definitely made my day – and since I just got back from a procedure at the hospital it was that much more appreciated 🙂 I look forward to answering the questions in my post!